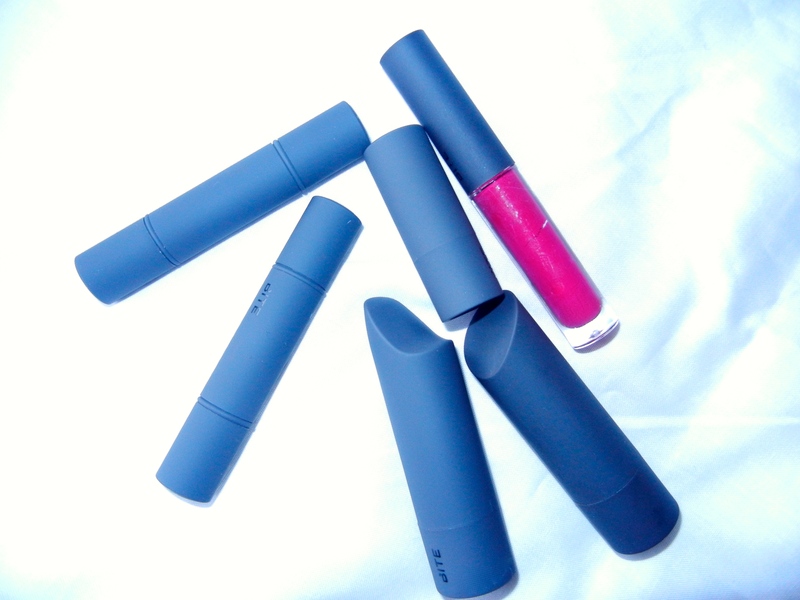 The mini duos are a great way to try out the Bite lipsticks in a cute and portable package. 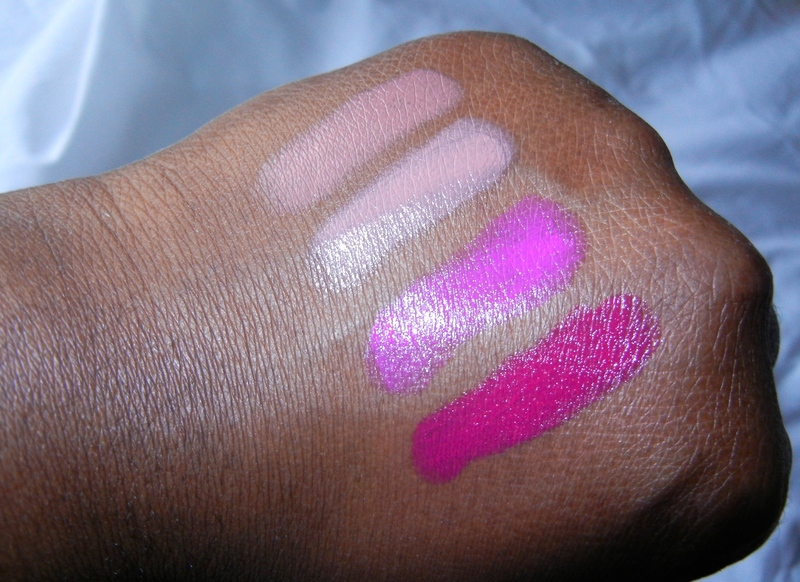 As you can see from the swatches, the pigmentation’s insane and they just feel so nice on the lips. They are a great price at $12 each and since each regular-sized Bite lipstick is $24, you can try out two colours for half the price of one! “Violet” on my lips sans lipliner. 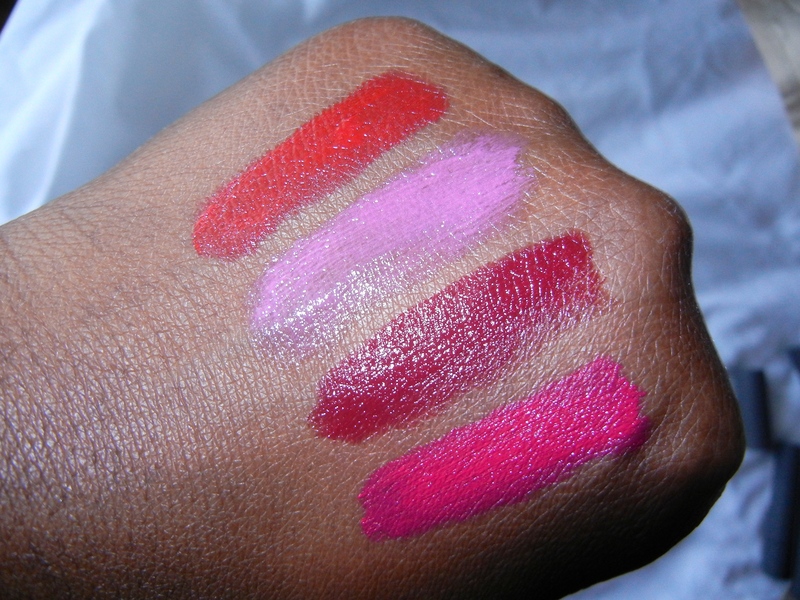 My only issue with the luminous creme lipsticks is that the formula varies from shade to shade. While tannin, musk, lychee, violet and palomino are saturated with colour, vento is much sheerer on me. However, they have fantastic staying power and they are truly weightless on the lips. The cashmere cream lipsticks look like lip glosses at first glance but they go on like a cream and dry to a very matte powder-like finish. 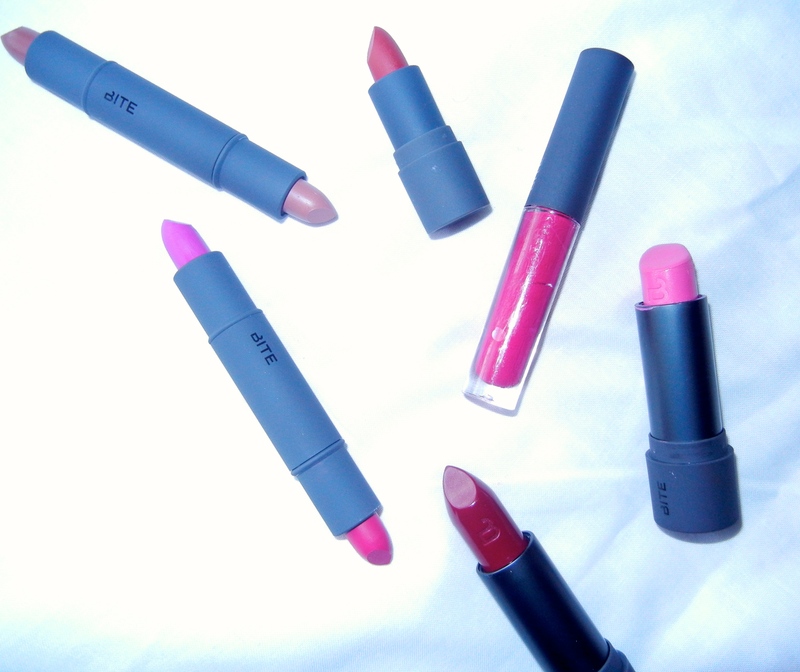 I absolutely love them and I’ve never come across matte lipsticks like them. 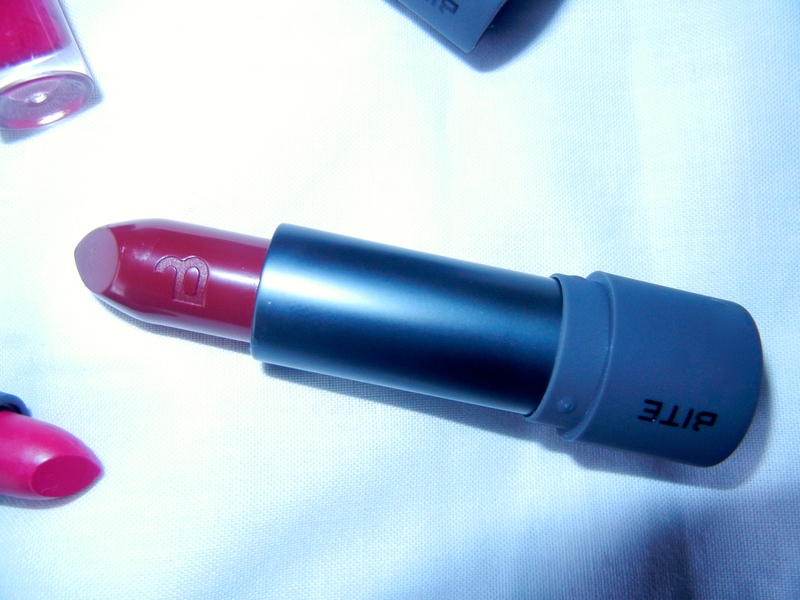 All of Bite’s lip products come in their signature grey casing and the feel of them is very similar to that of NARS products. They are almost velvety to the touch but just like NARS, they are fingerprint magnets. Each lipstick is embossed with the cute Bite “B” and they each have a slightly different shape to the casing, depending on the shade family it falls into. I’ve never tried a Bite Beauty product I haven’t enjoyed and I can’t recommend them enough. Most of their full-sized products are priced between $20- $30 and I know this isn’t cheap but I really feel that you get more than your money’s worth for such natural goodness. I have a couple of other products from them that I didn’t include here but I’ll do a separate post on them soon. One final thing: the downside of having such lovely buttery lipsticks is that they can be prone to melting in warmer temperatures so don’t store them in your car! Sephora is the exclusive beauty retailer for Bite Beauty products but those of you who live in New York City can also visit the Bite Beauty Lab where you can create your own lipstick! This entry was posted in Beauty, Makeup, Reviews and tagged Bite, Bite Beauty, brand focus, lipstick, reviews, swatches. Bookmark the permalink. I have their gloss in honey and I really like it. You should try their agave lip mask, it’s amazing! Aww thanks so much! I’ll get on my answers asap. I’ve heard about Bite, really envious of their beauty lab, I want to visit it! I really want to try them out though, now Sephora ship to the UK hopefully I’ll be able to pick up some shades! Violet looks amazing! You would love Bite Natalie! I live here permanently now so if you ever want to do a swap just let me know. from now on each time a comment is added I get 4 emails with the exact same comment.